DENVER and BERLIN, October 2, 2018 — ThinPrint, the leading endpoint print management provider, today announced its new integration capabilities with Parallels Remote Application Server (Parallels RAS, parallels.com/ras), to deliver a highly available printing experience for remote applications and desktops. The new Parallels RAS and ThinPrint combined solution enhances the end-user and IT administrator experience while improving employee productivity on any device connected to the virtual environment. Enhanced performance: Parallels RAS and ThinPrint users take advantage of the highest quality printing and the most efficient remote application delivery and VDI with powerful automation and complete analytics. Centralized management from a single pane of glass: Parallels RAS provides IT administrators a centralized dashboard, which can include seamless integration of ThinPrint for printing management, to significantly reduce the burden on IT administrators. Reduce tasks for IT support: Virtual desktop and application delivery to any device is seamless with Parallels RAS and ThinPrint. Users have all their applications, services and printers always assigned with unified user interfaces and user self-service – even across diverse fleets of devices – dramatically reducing the need for helpdesk and IT support. Business Continuity: Parallels RAS and ThinPrint empower users to easily access to the applications and services they need. ThinPrint’s print-specific monitoring helps ensure that any issues are addressed without interrupting operations or forcing IT to work outside of business hours. ThinPrint is a key element for a successful remote application strategy. Industry priorities, such as GDPR, automation and business continuity are addressed through ThinPrint’s end-to-end encryption, easily customizable PowerShell Scripting and print-specific monitoring to ensure maximum availability. Parallels RAS dramatically simplifies and lowers costs of virtual desktop and application delivery for businesses and organizations in a wide range of industries — including healthcare, education, banking and finance, manufacturing, and public sector – via nearly any device or operating system. Parallels RAS details, a live demo and free trial are available at parallels.com/ras. Technical insights of the joint solution can be found in this technical solution brief about Parallels RAS printing. ThinPrint, with nearly 20 years of continuous development and internationally-patented ThinPrint technology, is the leading provider of endpoint print management. Whether printing from traditional PCs, mobile devices, thin clients, virtual desktops, or from the cloud, over 25,000 companies across all industries and of all sizes optimize their printing infrastructure and increase productivity thanks to ThinPrint. Cheseaux, Switzerland, and Phoenix, Arizona – September 14, 2018 – NAGRA, a Kudelski Group (SIX:KUD.S) company and the world’s leading independent provider of content protection and multiscreen television solutions, with Samsung Electronics, the market leader in home entertainment for over ten years, today announced the launch of TVkey Cloud, the next generation Enhanced Content Protection for Smart TVs equipped with market-proven TVkey hardware based root of trust. TVkey Cloud is open to a wide ecosystem of industry players, including conditional access vendors and TV manufacturers, and complies with MovieLabs requirements for Enhanced Content Protection of 4K Ultra HD, HDR, and early release content. Samsung will launch the first TVkey Cloud in its 2019 lineup of Smart TVs. NAGRA’s IBC 2018 showcase will feature the complete line of NAGRA content value protection solutions and include the TVkey product line, NAGRA Anti-Piracy Services, and NexGuard watermarking, on stand, 1.C81, from September 14-18, 2018. For more information on NAGRA’s IBC presence, please visit dtv.nagra.com/ibc. Cheseaux-sur-Lausanne, Switzerland, and Phoenix (AZ), USA – September 14, 2018 – NAGRA, a Kudelski Group (SIX:KUD.S) company and the world’s leading independent provider of content protection and multiscreen television solutions, today announced comprehensive support for Android TV with an end-to-end user experience ecosystem. Leveraging NAGRA’s comprehensive multi-device and multi-network service, device and app protection technologies, OpenTV Signature Edition, NAGRA’s ready-to-deploy, always evolved OTT TV ecosystem, offers an end-to-end solution framework that enables effective content and service monetization with Android TV. OpenTV Signature Edition is designed to maximize content value, while optimizing the experience – not just for the viewer but also in deployment and operations. It delivers a unified, intuitive and seamless user experience across all screens through the world’s first multi-journey user interface that elegantly blends both traditional and modern navigation paths to linear and on-demand content, translating today’s fragmented content landscape into a unified and gratifying viewing experience. NAGRA’s IBC 2018 showcase will feature the complete line of NAGRA user experience solutions and include OpenTV Signature Edition, on stand, 1.C81, from September 14-18, 2018. For more information on NAGRA’s IBC presence, please visit dtv.nagra.com/ibc. Cheseaux-sur-Lausanne, Switzerland, and Phoenix (AZ), USA – September 13, 2018 – NAGRA, a Kudelski Group (SIX:KUD.S) company and the world’s leading independent provider of content protection and multiscreen television solutions, today announced comprehensive support for Android TV with an end-to-end content value protection ecosystem. 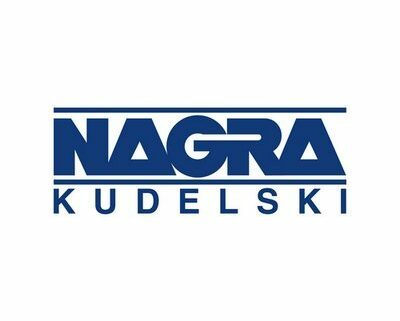 Cheseaux-sur-Lausanne, Switzerland, and Phoenix (AZ), USA – September 13, 2018 – NAGRA, a Kudelski Group (SIX:KUD.S) company and the world’s leading independent provider of content protection and multiscreen television solutions, announced today that Cignal TV Inc., the leading pay-TV provider in the Philippines, has reached two million subscribers. Cignal TVs next generation platform delivers multiple format TV and hybrid services on a range of set-top-boxes. Cignal TV deployed the Conax cardless solution based on the highly flexible, robust Conax Contego unified security back-end. Conax Contego is developed for seamless support and integration of all major distribution technologies and formats including UHD/4K, smart cards, cardless, next generation IPTV security, advanced multi-DRM / OTT services and new hybrid network combinations. Both Conax solutions are now part of the NAGRA content protection portfolio of advanced and off-the-shelf security solutions. NAGRA’s IBC 2018 showcase will feature the complete line of NAGRA content value protection solutions and include the Conax product line, NAGRA Anti-Piracy Services, and NexGuard watermarking, on stand, 1.C81, from September 14-18, 2018. For more information on NAGRA’s IBC presence, please visit dtv.nagra.com/ibc. DENVER and BERLIN, September 13, 2018 — ThinPrint Cloud Services, a subsidiary of the endpoint print management expert ThinPrint, today released the newest version of ezeep, the leading printing solution for coworking spaces and universities. RFID-based printing is now fully integrated into ezeep, making it the ideal solution in markets where users share multiple printers. In addition to this highly user-friendly set up, the new updates eliminate the need for IT administrators to spend time on printer assignments or printer driver management. Printing in coworking spaces or universities has historically been challenging for both users and IT administrators. Users are tasked with selecting and gaining access to the correct printer and clicking through widely-varying user interfaces, while admins are burdened with assigning the correct printers to the users, as well as managing printer drivers. The new version of ezeep eliminates the need for users to have to choose among several printers on a list. Instead, they simply select the virtual ezeep printer, go to the printer they find most convenient and initiate the printout by holding any RFID card against the RFID scanner connected to it. A fitness club ID can be used just as easily as an employee or library card. The only requirement being that the card must be RFID-enabled. In addition to simplifying the process, ezeep now ensures unauthorized persons cannot accidentally or intentionally take a printout from the printer. On the management side, ezeep enables IT administrators to no longer have to assign printers to users, need to know which users work near which printer or which device they prefer to print from. Due to one cloud-based printer driver, there is no need to install and update printer drivers for each machine or device. The ezeep cloud-based printing solution with RFID-based printing can be tested free of charge and without any obligation for 30 days and 10 users, including free support from the ezeep team. Alternatively, interested parties can get a first impression of the solution with a demo interface. ThinPrint Cloud Services, Inc. is a subsidiary of ThinPrint, the leading provider of print management software and services for businesses. We focus on providing cloud enabled print and print management solutions to individuals, coworking spaces, educational institutions and other organizations. With ezeep and ezeep Dash, our customers drastically reduce the administration of their print infrastructure and print users by leaving all the time intensive tasks to us. In addition, they benefit from advanced features like print quotas, automated per-page billing, secure release printing, Wi-Fi printing to any printer from mobile devices, remote printing and self-service portals.For more information, please visit: www.ezeep.com. Cheseaux, Switzerland, and Phoenix, AZ – September 10, 2018 – NAGRA, a Kudelski Group (SIX:KUD.S) company and the world’s leading independent provider of content protection and multiscreen television solutions, today announced the launch of NexGuard QuickMark, a subscriber-level watermarking solution to fight piracy of premium live sports on open devices. While premium live sports are a key growth driver for legitimate pay-TV service providers, they are also a fast-growing target for pirates who are starting to use open client devices, such as laptops and tablets, as a video source for their pirate services. In this new and growing piracy environment, legitimate service providers require effective anti-piracy solutions and tools, and subscriber-level watermarking is recognized as highly effective, when combined with a secure player. NexGuard QuickMark complements the existing NexGuard watermarking solution for set-top-boxes and is part of NAGRA’s suite of anti-piracy services. Its detection capabilities enable near real-time identification of the subscriber at the source of the piracy and the appropriate action to stop it. Using state-of-the-art content identification technologies such as real-time fingerprinting, NAGRA can capture pirate streams from the internet, social media and illicit streaming devices, and feed them into the QuickMark detection platform via an automated interface. As a dynamic client-side solution, NexGuard QuickMark does not require any modifications to the encoding, DRM or CDN systems. NexGuard QuickMark enables a highly secure and robust implementation. It is integrated with the NAGRA OpenTV Player, a secure player for the delivery of premium content services on open client devices, and other third-party players. NexGuard QuickMark will be available to premium sports service providers in late 2018. Cheseaux, Switzerland, and Phoenix, AZ – September 6, 2018 – NAGRA, a Kudelski Group (SIX:KUD.S) company and the world’s leading independent provider of content protection and multiscreen television solutions, and SPORT TV, the premium sports network and market leader in Portugal, today announced that they are joining forces in the fight against streaming piracy of live sports content. SPORT TV, which owns the exclusive rights to Portugal’s football league, leverages NAGRA Anti-Piracy Services to protect the premium sports network from illegal live streaming of soccer matches in Portugal and around the world. NAGRA Anti-Piracy Services provide sports rights holders, content owners and service providers with advanced detection, real-time monitoring and takedown services, but also strategic and legal counsel, deep global intelligence combined with local expertise. Along with NAGRA’s industry-leading content protection technologies, including card-based and cardless conditional access, and NexGuard forensic watermarking, NAGRA Anti-Piracy Services help both service providers and content owners manage and disrupt today’s piracy ecosystem and the various piracy methods in operation around the world – from open and highly visible piracy on the internet and social media, to key sharing and illegal commercial IPTV piracy services that compete with legitimate offerings. NAGRA content value protection solutions, Anti-Piracy Services and NexGuard watermarking will be on display on NAGRA stand, 1.C81, at IBC 2018 in Amsterdam, from September 14-18, 2018. For more information on NAGRA’s IBC presence, please visit dtv.nagra.com/ibc. Time-tested and proven, POL provides the simplicity, scale and bandwidth to address current and future LAN needs, while enabling capital savings and ongoing operational savings compared to traditional copper-based networks. POL is quickly growing as a cost-effective replacement for traditional copper LANs by reducing power, space and cooling requirements, while increasing the longevity of structured cabling. APOLAN’s events at the BICSI Fall Conference reinforce the significant opportunity for POL in the industry. BICSI attendees can learn more about APOLAN membership opportunities, as well as its education and advocacy work Sept. 9-13 at booth #812. When: Sept. 10, 2018 from 9 a.m.- 4:30 p.m.
Cabling design, installation and IT professionals attending this seminar will be given fundamental knowledge on the underlying technologies in POL. This will include an overview of the value, architecture and advantages of POL, as well as an in-depth look into design and installation guidelines and specifications for hardware currently available in the industry. The event will also include hands-on exercises on Passive Optical LAN design principles. Attendees will receive six BICSI Continuing Education Credits (CEC) for this one-day event. APOLAN continues to gain traction with the addition of two new board members, Brian Hardy, Executive VP at IT Connect and Paul Mills, Director of Sales for North America at Excel Networking Solutions. These members have taken on leadership positions to share expertise to further generate market opportunity for fiber-based networks. Brian Hardy is the Executive Vice President for ITConnect, bringing more than 25 years of experience in the Services and Information Systems marketplace to his position at APOLAN. Hardy not only builds profitable operations, but also champions highly complex technical endeavors with global impact. He has personally led more than 50 optical LAN installs over the Government, Educational and Hospitality verticals. He is a strong advocate of Optical LANs and thoroughly understands the integration and use cases for successful deployments. Hardy has a tremendous amount of experience in the deployment of various technology management and operations covering all aspects of the OSI model with manufacturers, such as Cisco, HPE, Juniper, Brocade, Palo Alto and Extreme. Paul Mills is the Director of Sales for North America at Excel Networking Solutions. Prior to this work he held management positions with 3M, Anixter and other prominent infrastructure and networking companies. Mills bring more than 20 years of experience in the converged IP industry to APOLAN. His seasoned leadership skills and technical aptitude coupled with an in-depth knowledge of business development expertise makes him an adaptable and innovative management professional. An effective motivator and communicator, Mills works well in challenging environments where resourcefulness and proficiency are required.